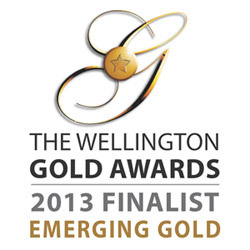 Times-7 Research Ltd has been announced as a finalist in the ‘Emerging Gold category in the 2013 Wellington Gold awards. The announcement on the 9th May at NEC’s new Technology Innovation Centre in Wellington, by Dominion Post Editor Bernadette Courtney and Mayor Celia Wade-Brown, placed Times-7 as a finalist in this years Emerging Gold category, alongside five other up and coming business entrants in the category for smaller and emerging enterprises. “Our proven ability to innovate and leverage our patented core designs for slim, low profile RFID antennas continues to accelerate our growth. Times-7 punches well above its weight for a company of less than 10 employees, and we are honoured to be selected as a finalist in this year's awards”, says Times-7 CEO, Antony Dixon. This year an impressive number of businesses entered across 10 categories, which judges have distilled down to 44 finalists, represented the top entrants for 2013. The Wellington Gold Awards in association with The Dominion Post, celebrate the excellence and enterprise of business in the Wellington Region. Established in 1999, the awards have grown each year in size and stature and have become an eagerly anticipated event on the corporate and social calendar. Amongst the 44 finalists, more than 800 people are expected to the black tie dinner in Wellington on the 20th June, to award the winners and to celebrate some of the best businesses from the Wellington region.